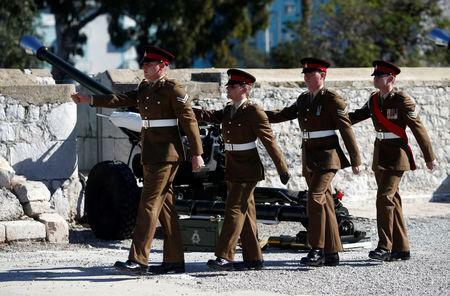 GIBRALTAR (Reuters) - With London fuming over whether Gibraltar should still be called a "colony", residents of the British outpost on the southern tip of Spain said they were more worried about life after Brexit than about which word best explained their status. In the latest Brexit quarrel between Britain and the European Union, Her Majesty's Government complained last week that the peninsula of 33,000 residents should not have been described as a "colony" in a draft EU text on visa-free travel. Britain itself called Gibraltar a "crown colony" for 268 years -- from when it won it in the 1713 Treaty of Utrecht that ended the War of Spanish Succession, right up until 1981 when it came up with a new name for it: "dependent territory". In 2002, the official term changed again to "British overseas territory". Until at least the 1980s, Gibraltarians carried passports that said "Colony of Gibraltar" right on the front cover. No matter. "Gibraltar is not a colony and it is completely inappropriate to describe it in this way," Britain's ambassador to the EU thundered. "Gibraltar is a full part of the UK family." Gibraltarians, whose economy depends on an open border with Spain, voted overwhelmingly to remain in the EU in Britain's 2016 referendum, but are due to leave the bloc anyway on March 29 along with the rest of Britain. 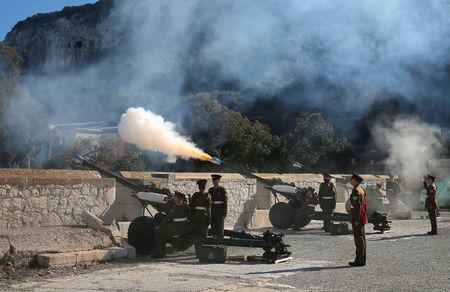 Their cultural Britishness was in full evidence on Wednesday, when the city on a rock rang out with a 21-gun salute in honour of the anniversary of Queen Elizabeth's accession. "We're still connected to them, maybe as a colony used to be, but we're not governed by them," he said of Britain. "We just want to stay as we are, British. We don't need anything to change. All we hope is that things on the frontier don't change either." But others on the central shopping street shared London's official umbrage at the EU's choice of vocabulary. 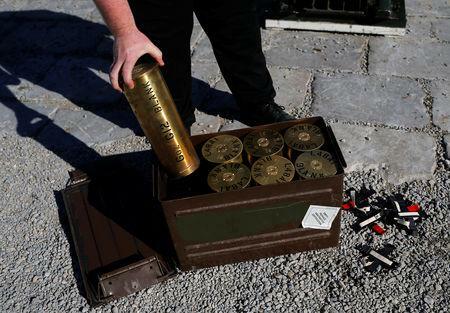 "This isn't the 1700s ... it's 2019 and we're a city, we're Gibraltar, we're not a colony," said insurance salesman Jack Johnson.